B.One’s VoiceActTM harnesses existing AI for smart homes by creating skills for Amazon and Google to instruct Alexa and Google home to command and control B.OneTM connected smart home devices. B.OneTM users are already using our VoiceActTM platform to control and monitor diverse portfolio of smart home devices like Thermostats, Cameras, Switches, Dimmers, Door Locks and many more devices built based on well established wireless protocols like Z-Wave, Zigbee, Wi-Fi, BLE. With over 27,000 models of Infrared remotes supported by B.OneTM Hub, Our VoiceActTM platform provides total control of legacy and modern Infrared controlled devices like Televisions, Disc players, Airconditioning systems and such others. 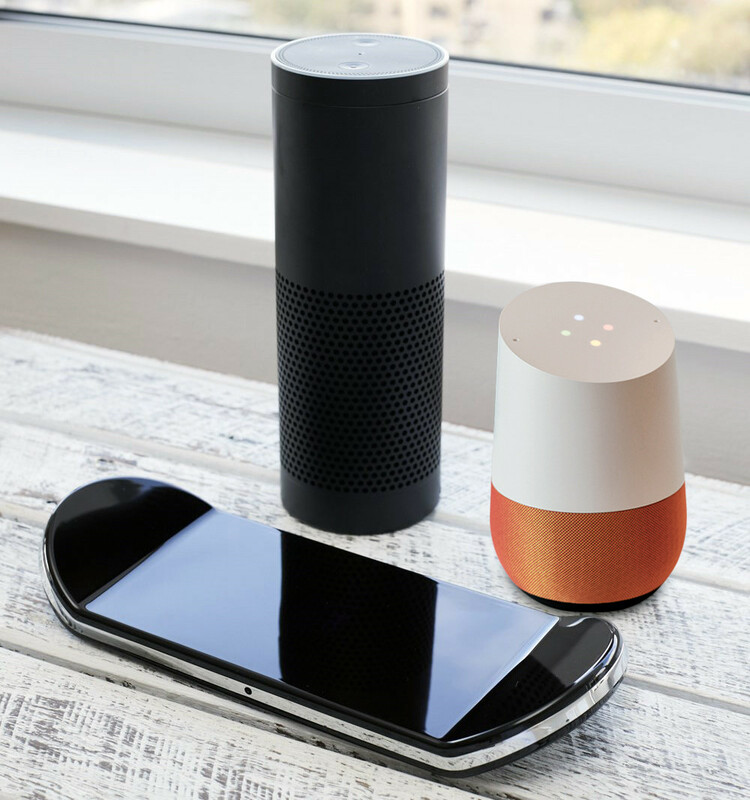 The B.OneTM VoiceActTM can be added to the Alexa or Google Home app and devices connected to the B.OneTM Hub can be controlled directly via voice commands issued to Alexa and Google Home devices. Imagine waking up in the morning and saying "Alexa, turn on Good morning" to then have Alexa automatically turn on the coffee machine and the geyser! The possibilities are many – you can easily create and customize an exhaustive list of voice commands and their associated actions in the backend. Controlling individual devices is easy, too, thanks to the ability to recognize devices and respond appropriately to commands like "Ok Google, turn TV off." Try VoiceActTM to experience life-changing simplicity and efficiency. We think you'll be hooked to the B.One Hub's ability to connect your home in a way that works for you; to make 'All Things. Be One(TM)'. For more details about the list of devices that B.One and its VoiceActTM Skills support, visit our Support page.